Poetic Onyinye : MERRY CHRISTMAS! Good Cheer to all the readers of my blog! I just want to thank you all for the time you have all taken to read and digest my blog! Anyway to celebrate Christmas! 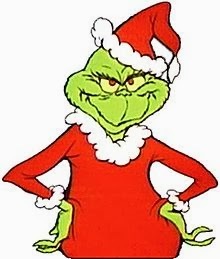 I decided to quote from one of the BEST Christmas movies( as I have taken the time to watch it twice in a week) - "How the Grinch stole Christmas"
"Don't forget the Grinch. I know he's mean and hairy and smelly. His hands might be cold and clammy, but I think he's actually kinda... sweet." "Dr.Seuss, How the Grinch stole Christmas"
Remember those who are less fortunate during this period!